Couture Seamstress Wanted, Tailoring credentials and experience as well as Prototype Technician experience needed for a fashion house in the beautiful Northeast Kingdom of Vermont. 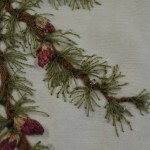 Escape the city, find peace and fresh air doing what you love, sewing in Vermont. The Couture Seamstress & Tailor is responsible for sewing made to order production of wedding dresses, suits, men’s and women’s jackets and children’s suits and dresses from start to finish. They work with the Creative Director making fit samples and to approve new patterns. 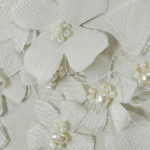 They also execute artwork including but not limited to hand sewing, machine applique, and hand embroidery. 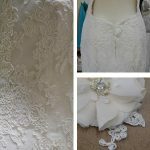 Sewing all apparel fabric types from light weight knits and lace to chiffon and organza as well as twill and denim. 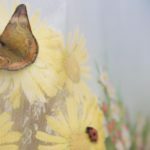 Making and producing high quality art work with textiles including but not limited to hand made flowers, machine appliques, hand embroidery, fabric painting, crochet, lace applique etc. Working on overlock, industrial sewing machines, hemming feet, irons, 5 thread safety lock and machine button holes as well as grommet press. Hand tailoring stitches, assembling pockets, sewing in zippers, basting etc. Sewing responsibilities include full construction from start to finish of one of kind custom garments as well as small production runs, and proto types. Experience working for couture houses a plus. Applicant must be an enthusiastic team member willing to work up and beyond when necessary. Willingness and talent to learn new skills–a must. This position is responsible for meeting the production schedule as defined by the Creative Director as well as working with and collaborating with Tara Lynn. This job operates in a clean, well lit and intimate open studio environment with lots of natural light and windows. This role routinely uses a diverse array of sewing equipment such as sewing machines, irons, and scissors, dress pins, pressing tools, seam rippers and miscellaneous sewing notions. The physical demands described here are representative of those that must be met by an employee to successfully perform the essential functions of this job. While performing the duties of this job, the employee is regularly required to talk and hear. The employee frequently is required to stand; walk; use hands to finger, handle or feel; and reach with hands and arms and requires the ability to occasionally lift supplies, garments and products up to 40 pounds. At any time if and when the company is trying to meet a deadline or accommodate a client that travels to Vermont for their fittings the employee might be asked work over time including night hours and weekends. They might also be asked to work with other staff and direct them in assisting with production or garment construction. This is a full-time position, and hours of work and days are Monday through Friday, 10 a.m. to 4 p.m. The employee must be flexible to work occasional nights and weekends when clients come from out of town for fittings. You may call 2 weeks after your submission to follow up and be sure it was received. Call 802-467-9036. Thank you for your interest. Tara Lynn is looking for experienced candidates only at this time. No internships are currently available. Candidates must have strong knowledge of apparel construction methods in order to cut and sew a one of a kind garment with minimal instruction.